Mike Longo began his professional career at the age of fifteen in South Florida where he began working with his fathers club date band around the Miami/Ft. Lauderdale area. Cannonball Adderley, who was a band director in a local high school at the time, heard Longo at a jam session and became interested in the young pianist. The two became friends and the elder Longo hired Cannonball to work some gigs with his club date band. It was while playing at the Embers in New York that Dizzy Gillespie first heard him. 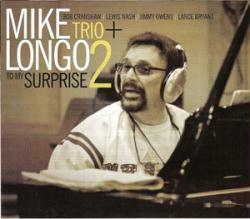 Dizzy, who was the featured attraction, heard Longo during his breaks and was to remark in later years that he had decided he wanted Mike to be on his group during that engagement. The opportunity didn't arrive until two years later. It was 1966 and Longo was booked back into the Embers West on 49th St. in Manhattan. His trio at the time consisted of Paul Chambers on bass and Chuck Lampkin on drums. The trio became a house rhythm section there and during this period Mike played with such jazz greats as Frank Foster, Frank Wess, Clark Terry, Zoot Sims and the legendary Roy Eldridge. It was Roy who went around the corner to where Dizzy was playing and told Dizzy "you got to come by and hear this piano player who is playing with me." Dizzy came by and heard Mike play a set with his trio and the next day hired him to be the new pianist with the Dizzy Gillespie Quintet, a post Mike would remain in for the next nine years. a concert at the John Birks Gillespie Auditorium by the Mike Longo Trio honoring Dizzy Gillespie and Miles Davis. Fortunatly this concert was recorded and released on a CD called "A Celebration of Diz and Miles." As a result of this CD Mike has received an avalanch of rave reviews in the press as well as winning first place in the piano category of the 2012 South American Jazz Poll. 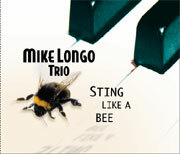 Mike Longo-Piano, Bob Cranshaw-Bass, Lewis Nash-Drums. Don't miss this! !